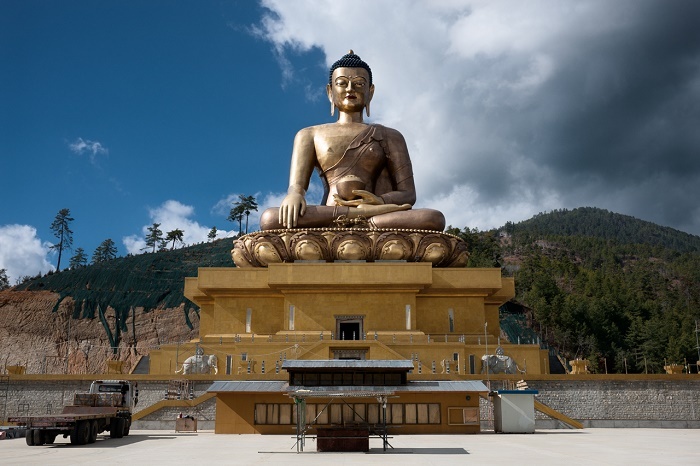 The Buddha Dordenma Statue, sometimes referred to as the Great Buddha Dordenma, is a gigantic statue of Shakyamuni Buddha, which is located atop a hill overlooking the capital city of the Kingdom of Bhutan, Thimphu. 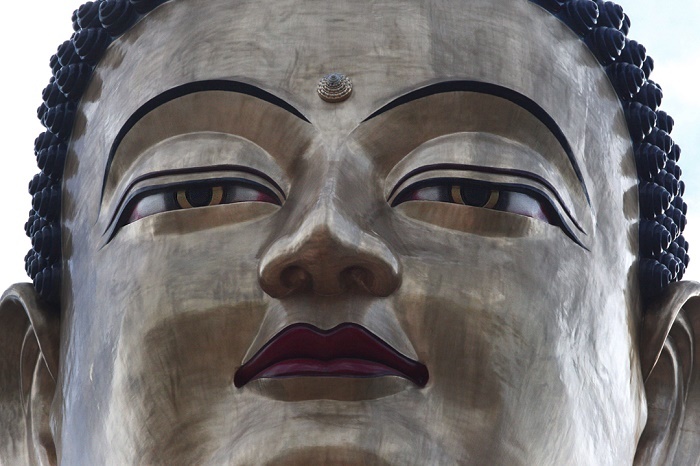 Built in order to celebrate 60th anniversary of the fourth King Jigme Singye Wangchuck, it also represents the centennial of the Bhutanese monarchy, and this impressive Shakyamuni statue fulfils an ancient prophecy which is said that it emanates an aura of peace and happiness to the entire world. 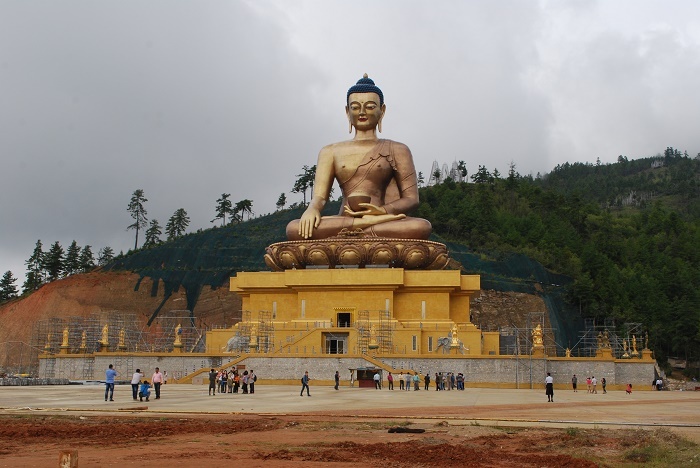 Having a height of some 52 meters (171 feet), it is certainly one of the largest statues of Buddha that can be found in the world. 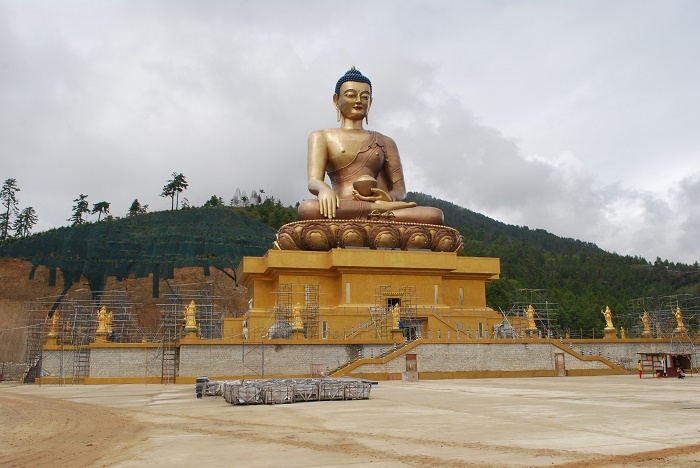 Made entirely of bronze and gilded in gold, the statue holds a lesser known secret, where within itself there are 125,000 miniature Buddha statues; 100,000 of them are just 20 cm (8 in) tall, while 25,000 are 30 cm (12 in) tall. They too are made entirely of bronze and gilded in gold. 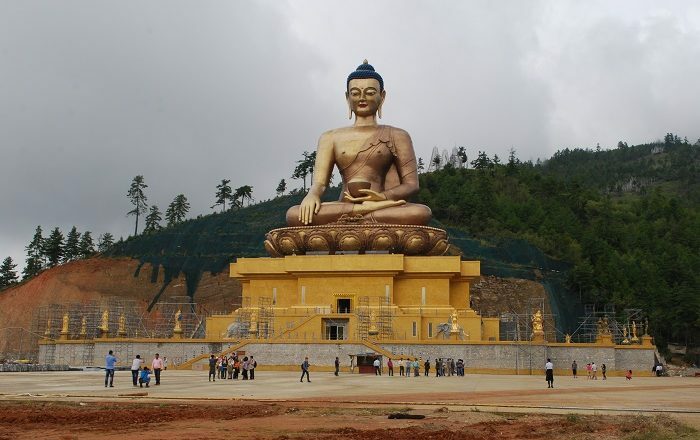 Still, the large statue sits on a throne which serves as a large meditation hall so that all the visitors from different nations to be able to find their peace, freedom and happiness. 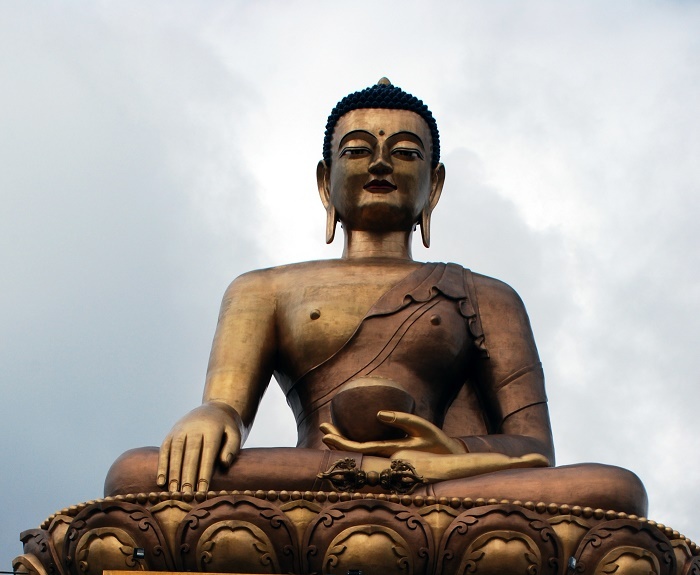 The best time to visit the Buddha Dordenma Statue is in morning light, however, it is also very amazing at night when it is illuminated. 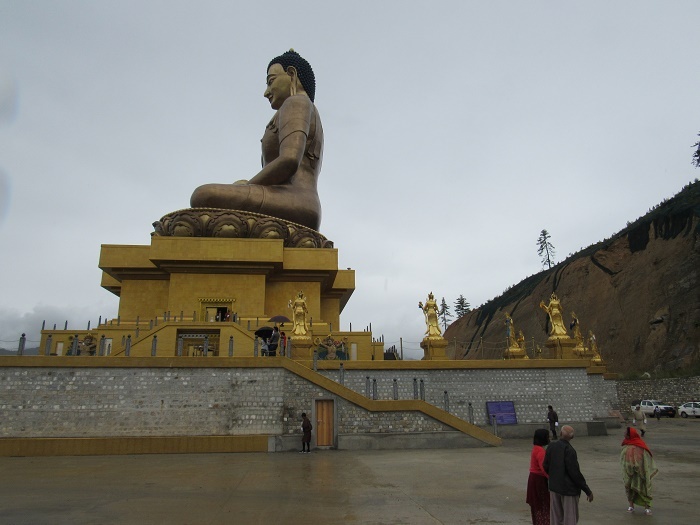 Since it is located in the Kuensel Phodrand Nature Park, the locals are coming here not just for meditation, but also for the amazing nature and the impressive vistas that overlook the southern entrance to the Thimphu Valley, offering great photographic opportunities which should not be missed whenever in the Bhutanese capital.